It has been a wonderful year since my first novel Butterfly Barn was released. I’d like to thank you all so much for your wonderful support. 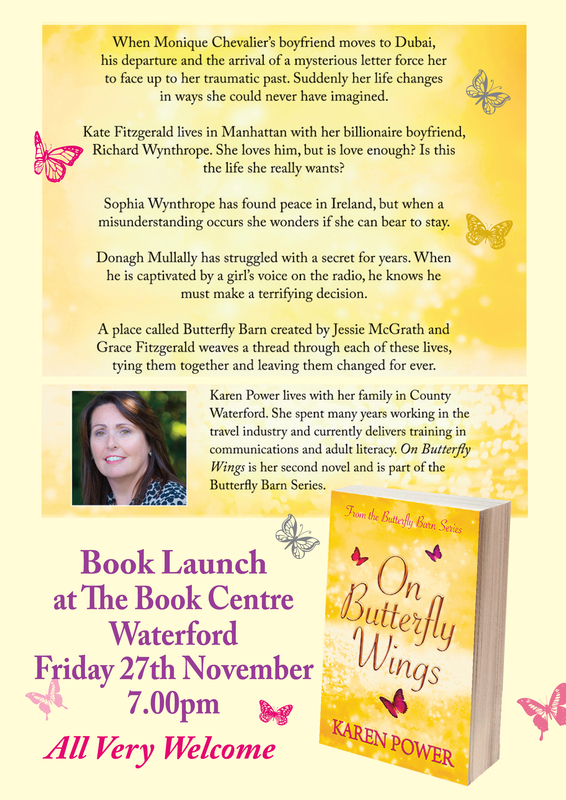 Can you believe Waterford City and County Arts Office has ordered 65 copies of On Butterfly Wings to gift to visiting dignitaries to the City and Council. I feel very honoured by this gesture. Of course, the fictitious town, Bayrush where my novels are set is, of course, in County Waterford, as they say “write what you Know” and I do know and love this place so much.